He received his ‘for most conspicuous bravery in command of a section of tanks’ at the Battle of Cambrai in November 1917. Just 20 years old, this bravery cost him his life. The medal is now on display at The Tank Museum. Wain was born in Penarth, near Cardiff, on the 5th December 1896, the son of Harris and Florence. He went to school at Llandaff Cathedral School and St Bees College in Cumberland where he was a member of the Officer Training Corps. At the outbreak of war in 1914 Wain joined the 7th (Cyclist) Battalion of the Welsh Regiment, a Territorial unit. He transferred to the Public Schools Battalion of the Middlesex Regiment in December. 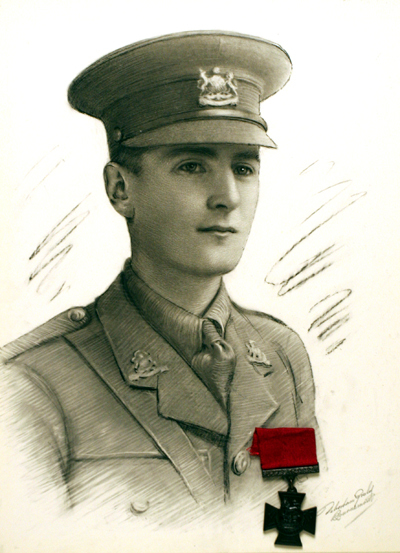 A few months later, on the 16th July 1915 he was commissioned as an officer in the Manchester Regiment. Like so many British soldiers, Wain’s first major experience of combat was on the 1st July 1916, the first day of the Battle of the Somme. He was a member of A Company of the 17th Manchesters. They attacked and captured the village of Montauban, taking heavy casualties. All of A Company’s officers were killed or wounded, including Wain. After recovering he transferred to the Tank Corps in January 1917 and joined A Battalion. 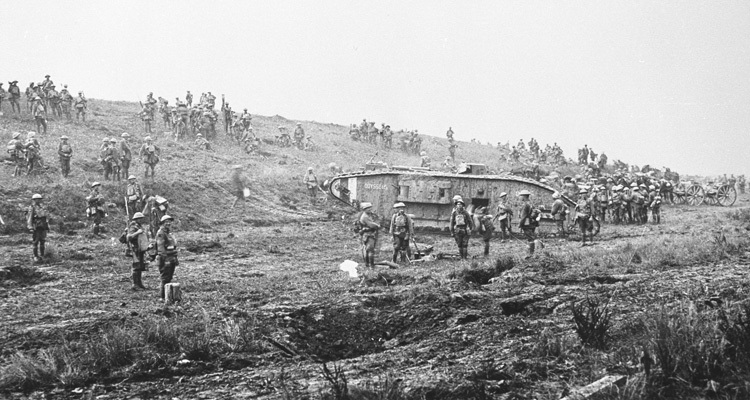 At Messines on the 7th June Wain commanded tank A5. During this fighting his tank destroyed three German machine gun emplacements. 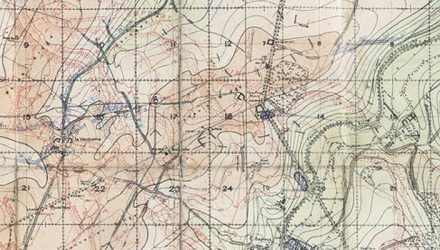 Despite having a crewman wounded by shrapnel from the British barrage, he successfully brought A5 back to the rallying point. Abou-Ben-Adam’s unditching beam has survived. By Cambrai he was a Captain in command of Number 1 Section, 1 Company of A Battalion. 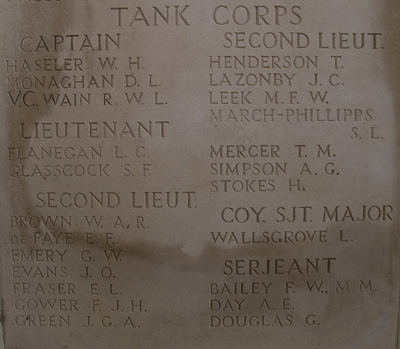 As Section Commander he led his three tanks into action at 6:20am on 20th November. He rode in tank A2, named Abou-Ben-Adam II. Shortly after 8:50am Abou-Ben-Adam was crossing a ridge near Good Old Man Farm, between Villers-Plouich and Marcoing. 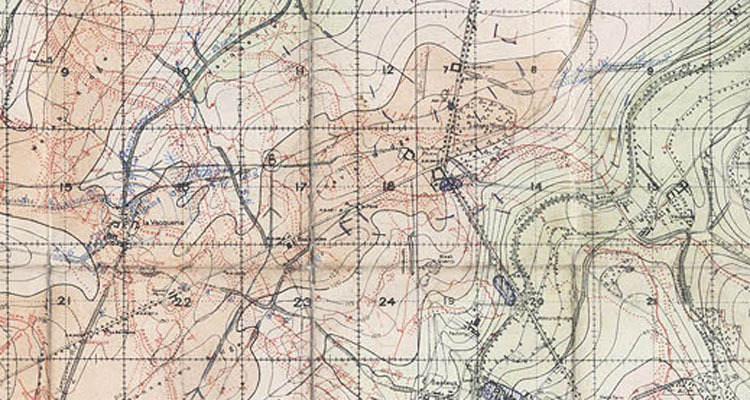 Wain spotted a group of British infantrymen pinned down by German machine gun fire. 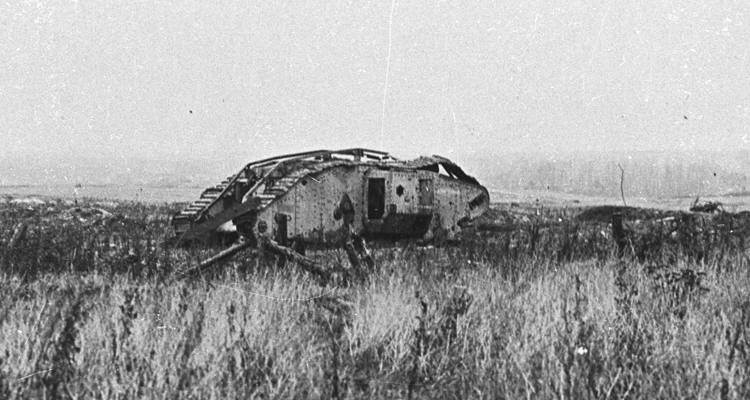 Whilst trying to draw German fire away from these men the tank was hit by German mortars, which killed six of the crew. Only one of them has been identified: Private 40060 John Alfred Browning. Wain’s VC citation records what he did next. “During an attack the Tank in which he was, was disabled by a direct hit near an enemy strong point which was holding up the attack. 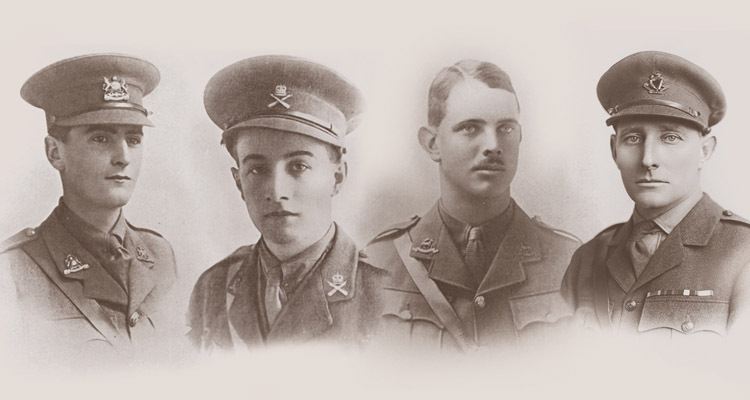 Four Victoria Crosses were awarded to men of the Tank Corps during the First World War. They had two things in common. None of the recipients were in a tank at the time, and none of them survived. 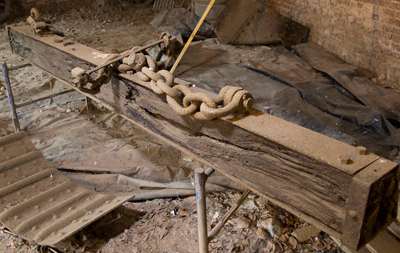 Richard Wain was buried alongside the wreck of Abou-Ben-Adam. The unditching beam from Wain’s tank has survived in the collection of Philippe Gorcynski. Unfortunately the location of his grave was lost and is now unknown. He is commemorated on the Cambrai Memorial to the Missing in Louverval Military Cemetery. 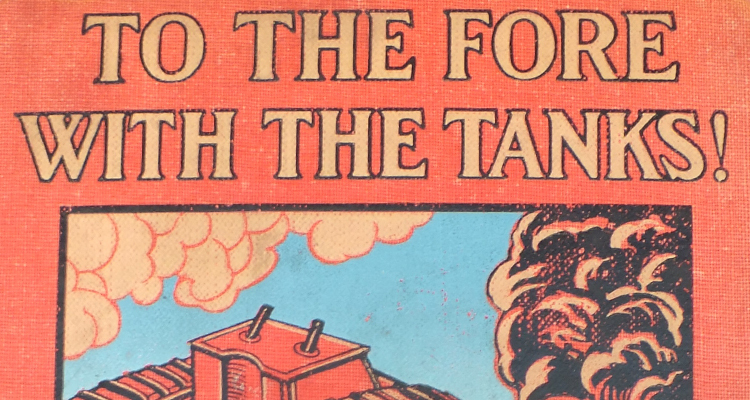 Watch a video about Captain Wain and the centenary of the Battle of Cambrai here. Richard Wain is also remembered on the War Memorial in Alexandria Park, Penarth, though for some reason his name was only added relatively recently, being missing when the memorial was originally erected.